Another new formula from Lobo, packed in the square glass bottle. This just arrived from Thailand. From Japan to Thailand. 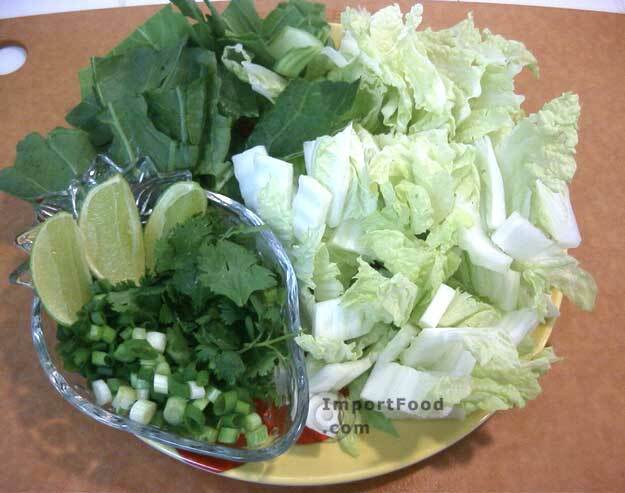 Sukiyaki became popular in Thailand, where the sauce was adjusted into a Thai style and became popular all over the nation even creating fast food chains that serve only this dish. 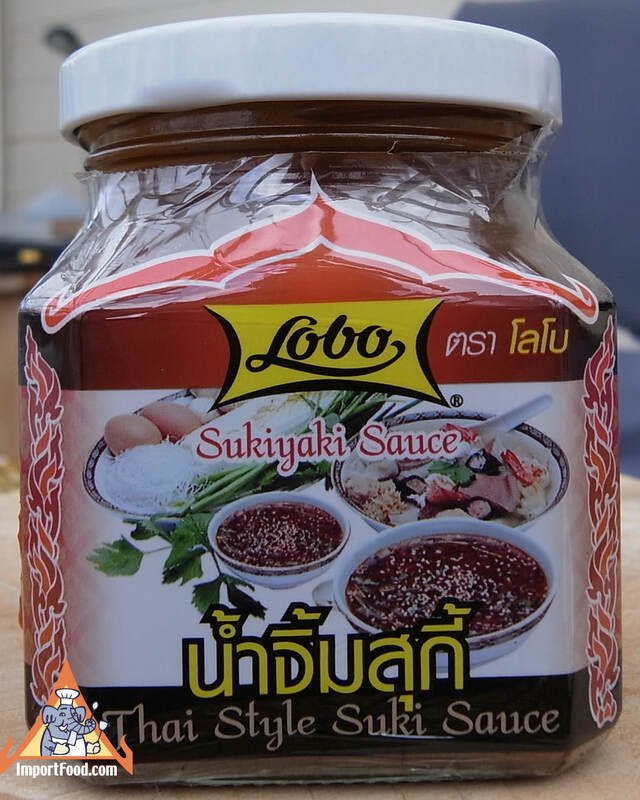 The aroma of Lobo brand sukiyaki sauce is heavenly. 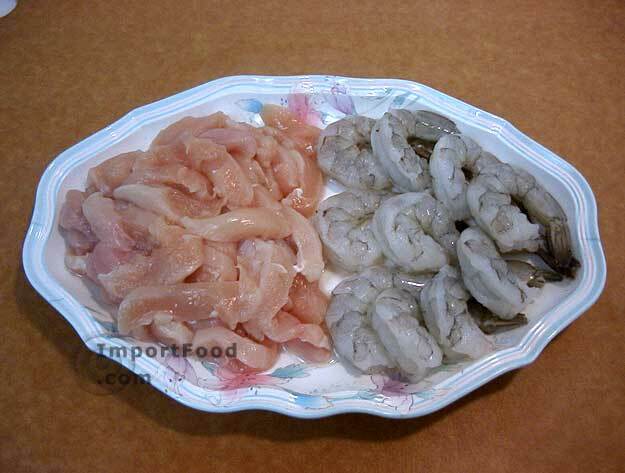 Just pour some in a bowl, and serve with sukiyaki meats and vegetables. Start with boiling water then add meat and vegetables of your choice, then ladle into a smaller bowl where you can add a desired amount of spicy sukiyaki sauce to your individual serving. We started with napa cabbage, bokchoy, scallions, cilantro, lime wedge, seasonal fresh mushrooms, snap peas, tofu, bean sprouts, chicken, shrimp and a small amount of bean thread noodles (see pictures below). 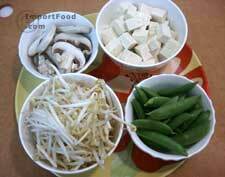 Spoon the desired amount of sukiyaki sauce into the individual serving, and enjoy! Ingredients: sugar, water, chilli, soy sauce, distilled vinegar, glucose syrup, coriader root, garlic, refined soybean oil, salt, white sesame seed, msg, xanthan gum.